How do you know if your workshop was a success? So you’ve done your workshop, you’ve packed away your things and now you are digesting what you’ve done. Do you have a feeling of exhilaration and elation or gloom and doom? If you felt your workshop went well, then it probably did. And if you’re not sure, then there are probably a few simple changes that you might need to make so it will be better next time. 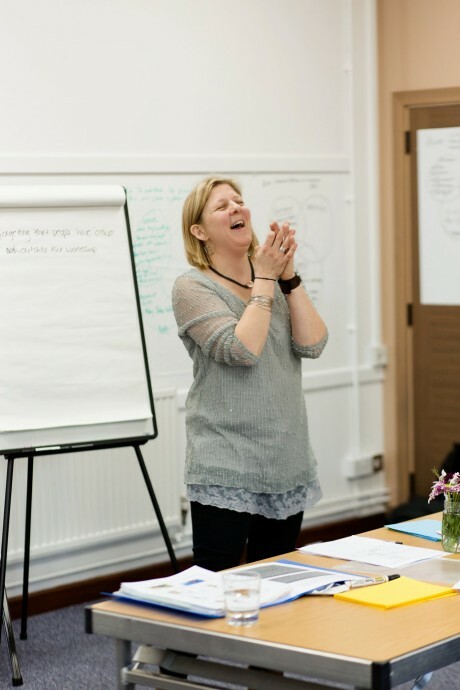 Apart from those post workshop feelings, those subjective ones that can make you feel amazing or slightly out of kilter, just how do you know that your workshop was a success? One of the most obvious things to do post workshop is to read your feedback forms. 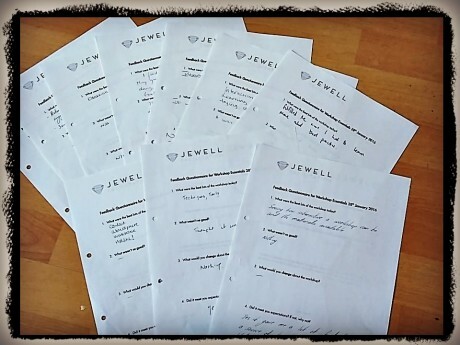 Creating a feedback form is a vital part of any workshop and enables you to know what your participants thought. You can ask them what went well, what didn’t go well and what you could change in the future. But aside from looking at the feedback, what else can you focus on? 1.The workshop ran to time. I’ll be honest, this is an area of weakness for me. I often get so involved in what I am doing that I do need to remind myself to keep a good eye on the time. It is something I have to concentrate on. Hard. I suppose getting engrossed in your own workshop could be seen as a good thing (it must mean it’s interesting!) but part of your role as a workshop host is to make sure you stay on top of what you are doing and don’t get too absorbed to move on. Keeping to time means your timetable is probably pretty good, your methods are appropriate and you have allowed the right amount of time for discussion and digestion of the information. Not keeping to time usually means some careful alterations, and working out where these alterations need to be made is an important part of evaluating your workshop. TOP TIP: Go through your workshop timetable and note where the time pressure points were. 2. You were flexible and adaptable – sometimes you may have too much or too little in your workshop. Your participants may work through an activity much quicker than anticipated or want to take a discussion further as it is so good. This is where your flexibility comes into play. If you are going to follow the principles of good workshop delivery, you always need to allow some wiggle room. Adapting things as you go along to fit in with your participants is a skill and something that often comes with practice. Having the confidence to do this is in itself something of an achievement. But where many workshops go wrong is the workshop host’s rigid agenda that doesn’t leave space for the individuals present. If you can make room for them by being flexible then your workshops will be much more successful. TOP TIP: After the workshop, note down the places where you had to make alterations during the workshop. 3. 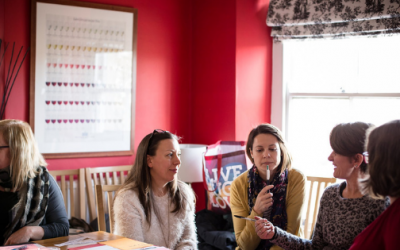 Your participants met their expectations – finding out what people’s expectations are at the start of the workshop is crucial and gives you something to work around. At the end of the workshop you can go back to the expectations and see if they were met. If they weren’t then you can evaluate why not and make changes as necessary. Obviously if people’s expectations are unrealistic or beyond the scope of the workshop then it is up to you to discuss this. TOP TIP: If you are doing successive workshops on the same thing, keep track of the expectations and check you are meeting them. 4. You met your aims – did you meet the aims of your workshop? If you covered all the areas you said you were going to cover in the workshop then you have probably met your aims. Just covering areas in itself may not be enough however, and for participants to really have something usable they need to have done more than take away a lot of new information. If participants really feel like they understand how the information in the workshop is applicable to them and how it can be used then this is really hitting the aim on the head. TOP TIP: Look back over your aims and see if they fit with your time keeping. You may have to reduce or re-jig your aims to make the workshop timing better. 5. There was participant interaction – for me one of the important and valuable things in a workshop is interaction. If there are questions and discussions, people chipping in, making suggestions and sharing experiences then that is a sign of success. The information generated from such interactions is just as valuable as any content that you put in in the first place, so if this happens I would class this a success. TOP TIP: Look back over your activities and see which ones generated good discussions. 6. You ended the workshop well – too many workshops just stop, abruptly. You need to think how you are going to tie everything up at the end and consider what next. Just getting to the end of the workshop and saying “that’s all folks” is no way for a workshop to finish. 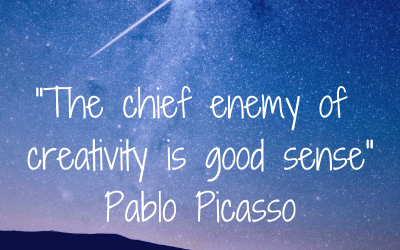 Ending with a bang is better than a whisper and if all your participants are still chattering away as they leave the room then that’s usually quite a good sign! TOP TIP: Consider whether you left enough time for the ending and whether your parting activity worked well or not. 7. There was some networking – while this is not a particular aim of doing a workshop per se, it is usually a valuable bi-product. I know of at least a couple of “let’s meet for coffee” conversations that have happened in my recent workshops, and I would say this feels like a success. It is a success for me in so far as my workshops got people talking to each other enough to want to exchange that kind of information. TOP TIP: Think about ways to continue the conversations long after the workshop has finished. 8. There were a few laughs – this is probably a very personal mark of success but it is one that is important to me. I like there to have been a few moments of laughter, a few giggles and some expression of happiness. It is perhaps not appropriate in every workshop, but it is important to me to know that the participants have enjoyed themselves and there are all sorts of studies that suggest people are much more receptive when they are happy. 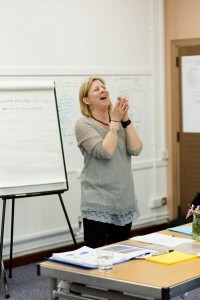 In fact I can reveal there is a very good photo of me at my last workshop, doing just that (if you have a better caption I’d love to hear it!). TOP TIP: Try to look back on the moments where this happened and try to work out what made it fun. Making sure you evaluate your workshops at the end is vital, especially if you are planning on doing more. Apart from the subjective feeling you get (you usually know whether it went well or not), particularly when you are doing a workshop for the first time it is hard to know exactly what went well and what needs adjusting. Even with extensive planning and wonderful preparation there is no guarantee that everything will go according exactly to plan. You never know when you are going to encounter an awkward customer and sometimes you do need to try out new things, and they may not always work. Working out how it all went is just as important as planning it in the first place. Join me for one of my next workshops where I’ll be helping you get your workshops just right.